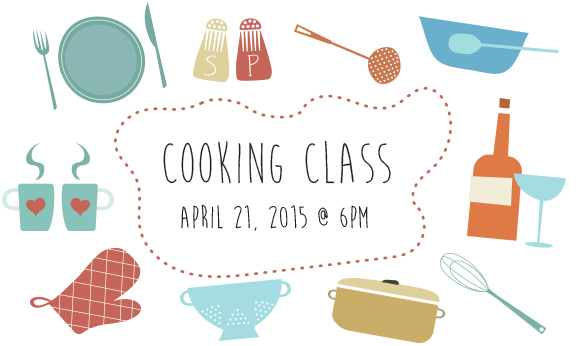 On April 21, Chef Supplies by KaTom will host Kenny Burlew of Kennedy Concepts for a cooking class. Chef Kenny has always loved to cook. He made his first meal at age 3 and by the time he was 14 he was cooking every meal in his home. Growing up, his parents ran landscaping company which is very seasonal work so he always had to find work for the winter months. He chose food service. Starting out in dish washing, bar backing, prep cooking, bar tending, serving and eventually took a job as a line cook at a local Waffle House. Late one night as he was flipping eggs in walked a small man with thick glasses, he sat in the back booth watching Kenny for hours over his coffee and eggs he would nod from time to time finally he called him over to his table. He told Kenny how impressed he was with his passion for cooking simple food he told him that he was opening a new restaurant in town and that he would love it if Kenny came to work for him. He said that he would make him a real chef. Little did Kenny know at the time, that the man was a master chef from Naples Italy and that he was opening a 4 star restaurant. Within 6 months Kenny had become his sous chef. Since that time Kenny has gone on to receive training from three other master chefs from many different countries. He has run multiple restaurants, a four star hotel, as well as being one of the personal chefs for the president of the University of Tennessee. By age 27, he was the youngest culinary instructor at the University of Tennessee. Thick sliced fresh Tomatillos breaded in a cilantro lime panko garnished with our home made Pico de Gallo and with a side of chipotle ranch. Gulf Shrimp, mussels, blue crab, and crawfish toss with Andouille sausage and Arborio rice in a rich dark roux sauce. Rich and creamy scratch made cheesecake in a honey gram cracker pecan crust topped with a Jack Daniel’s orange reduction.